Leading neuroscientists believe that we need to junk our everyday understanding of the mind, and that much of philosophy needs to go too. In this essay adapted from his new book ‘The Soul of the World’, Roger Scruton pokes holes in their confidence and proposes another way of understanding who and what we are. 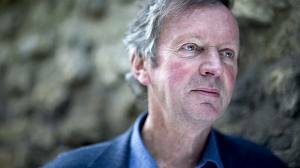 atheism, Big Bang, Christianity, Mark Vernon, Religion and Spirituality, Rupert Sheldrake, why is there something? Christianity, Mark Vernon, Philosophy of Science, Rupert Sheldrake, science, What does Christianity get Right?